Unique criss-cross strap design proves enhanced patella buttress compression. Uniquely designed brace protects unstable knees. Flexible spring steel stays on the sides provide enhanced support. Mueller Wraparound Knee Brace Deluxe provides enhanced knee stability and protects against subluxating patellas and unstable knees. Made of the finest quality neoprene blend, the Mueller Wraparound Knee Brace Deluxe provides a soothing warm sensation and adjustable compression. 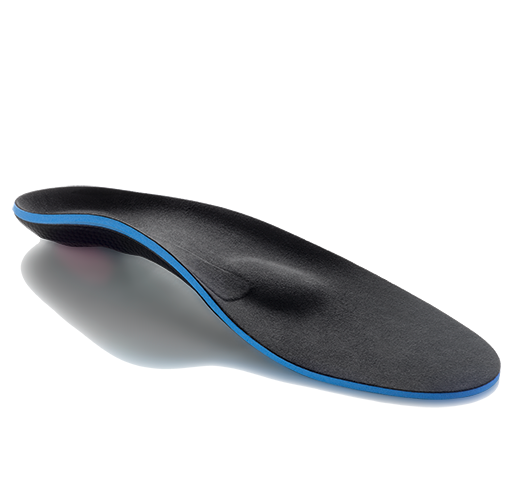 The unique strap design allows for adjusting the overall tension and stabilization effect from the product, while high-strength steel springs provide firm medial/lateral support and allow leg flexion and extension. It also has nicer, more finished hook and loop closures for enhanced durability. This model can be used for athletics, as well as, recovery after an injury. 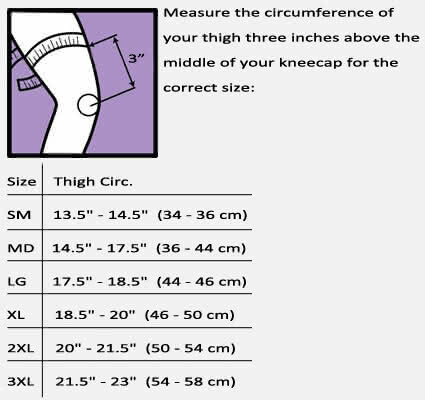 The Mueller Wraparound Knee Brace Deluxe can be used to treat patella tendonitis, chondromalacia, tendonitis, and more. High-strength steel springs provide firm medial/lateral support and allow leg flexion and extension. Adjustable criss-crossing tension straps allow for a custom fit and controllable compression. 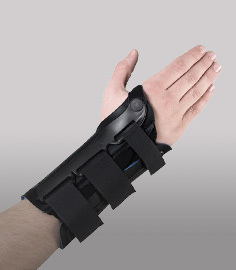 The wraparound design, complete with front fasteners, make this brace easy to put on and take off. New design prevents chaffing with fully trimmed edges and smooth seams. Opening at the patella allows flexibility and prevents pressure on the kneecap. Patella buttress provides extra stabilization and protection. Fits right and left sides. Available in five sizes to fit every size individual. Turned out to be too small but nicely made. Had to get the next size up. 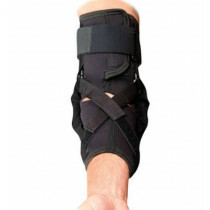 I wear it for all sports - softball, tennis, table tennis - and provides very solid support for my knee. It took my pain away from my knee, so I do not have tower it much now. Thank you. It truly helped. like wrap around knee braces because pull-up braces just never correctly fit me. I like that fact that the Mueller Wraparound Knee Brace Deluxe closes in the front rather than the rear. It seems to provide very good support to my arthritic knees- and I can vary the tightness of the support via the crossing straps. I'm pleasantly surprised that it seems to provide more support and is more comfortable than my previous braces which had metal hinges. Be aware that there is NOT an opening behind the knee which can make the brace warm in hot weather. That's the only reason I didn't give it 5 stars but to me, the comfortable support is worth a little extra sweat on my knee. Good support, delivery was quick Review by Harry J.
I bought this for my daughter, who is having knee pains while working a strenuous job. Built well and works well. Just wish they built the interior out of something that didn't sweat as much, otherwise would give 5-stars. I will be buying one for myself in near future. Shipping was very fast on this item, which was very nice. It took about 2 to get to us. I do not need a knee brace to prevent lateral strain, but only to give some support/cushioning for my knees. This knee brace is easy to put on, helps with the patella, and supports my knees for vertical strain very well.  Mueller believes that the best way for you to select and purchase a Mueller brace is at one of its authorized online stores of which DME-Direct is one. Only in these stores can you be sure to find the latest Mueller collection and ensure you are getting a genuine Mueller product with the manufacturer's full warranty. Mueller therefore recommends that you do not purchase a Mueller item through any website, unless it is an authorized Mueller dealer. We are a Mueller Authorized Dealer and can assure you a safe and pleasant shopping experience here at our website as if you were at our wholesale distribution premises in Valencia, California. Some non-authorized sites sell counterfeit, second-hand merchandise, and/or products containing old fabrics, glues, and resins that do not perform as intended, and are therefore, not eligible for care under the Mueller warranty. Others do not offer the original Mueller warranty, nor do they offer any after-sales service of any kind. Mueller takes great care to ensure that all Mueller authorized dealers offer you the very best products and service. Please take advantage of the peace of mind that only they can offer to Mueller purchasers.